As in previous years, stopping TKI treatment was a widely discussed topic at this year's ASH meeting. New data on trials like EURO-SKI, DASFREE and others are underlining the findings of previous trials and are increasing the certainty on the safety of stopping treatment in a very controlled, closely monitored clinical setting. There is still uncertainty about factors that might predict whether a patient can successfully stop treatment or will experience a recurrence of the disease leading to re-starting therapy. There is still no clarity about the underlying biological mechanisms why some patients can stop successfully while others can't. 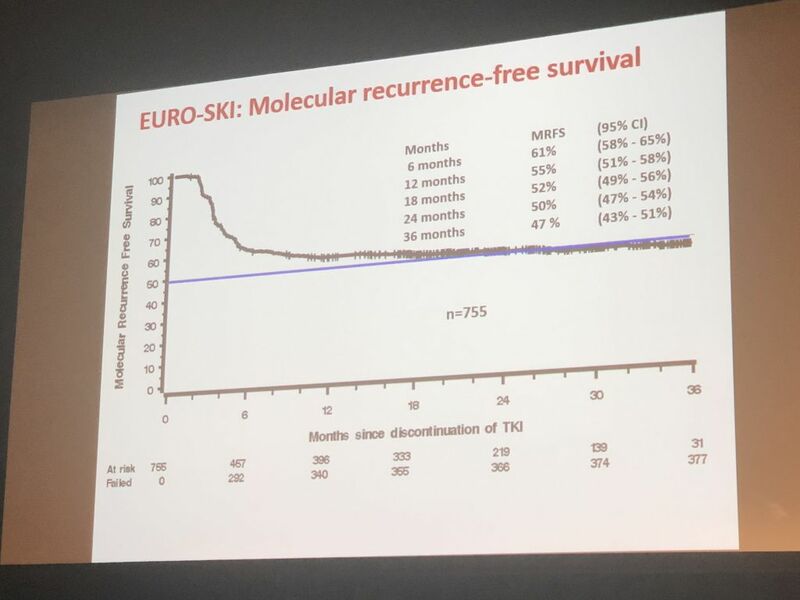 Ongoing trials like EURO-SKI will provide a lot of answers, but because there is a lot of demand for stopping treatment while there is only a small number of trials that are still recruiting, stopping treatment is happening a lot "out there in the field". As demonstrated by data presented data at the ASCO conference in June 2017, this may lead also to bad clinical practice when the requirements and potential risks are not taken serious. To provide more certainty on the requirements, first official clinical recommendations are emerging, but they are based on early data. We've tried to summarize what we heard and learned at ASH and what current recommendations say. About 30.000 people are meeting in Atlanta (and due to snowfall that happens usually once every five years, it currently feels more like Alaska) to discuss latest science in blood diseases. The Education Sessions are a core element of the conference programme, providing a broad overview on key topics in specific diseases. 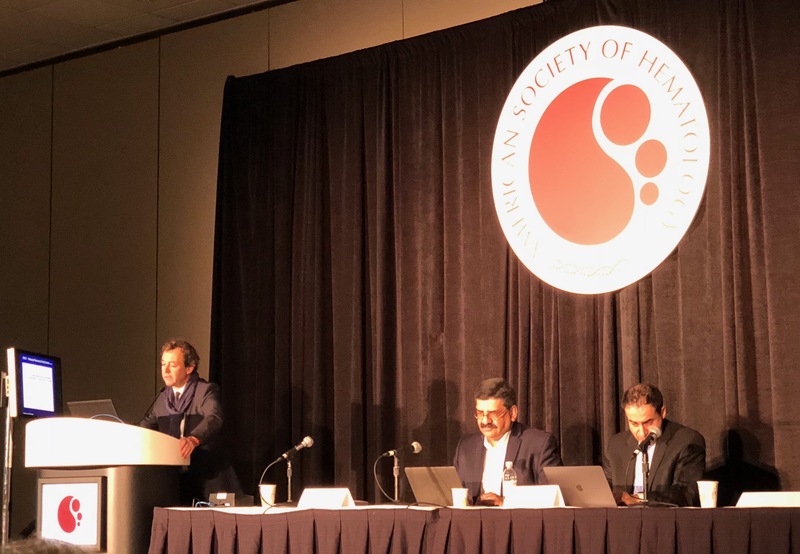 In the CML education session 2017, stopping CML treatment, cardiovascular issues of current TKI treatment, and eradicating CML stem cells were chosen as the “hot topics” this year. This World CML Day 2017 has been a really exciting celebration for Chronic Myeloid Leukemia community. 60 CML Advocates Network patient organisations members of 51 countries from all continents joined our global campaign "Today Together: Today, together we are treated.Tomorrow we need cure! ", raising awareness about CML patient perspective, needs, feelings and wishes. CML patient advocates and patient associations empowered not just the CML patients, relatives and carers but also health care providers, media, policymakers and the public in general. The CML Advocates Network was really positively touched by hundreds of CML advocacy activities where emotions and scientific CML information shared by CML advocates led the CML conversation on media, social media, health centres and many streets and institutions. We want to present you this World CML Day 2017 Report with most of the global activities as well as express our warmest gratitude to all participants who made last 22nd September a memorable day. 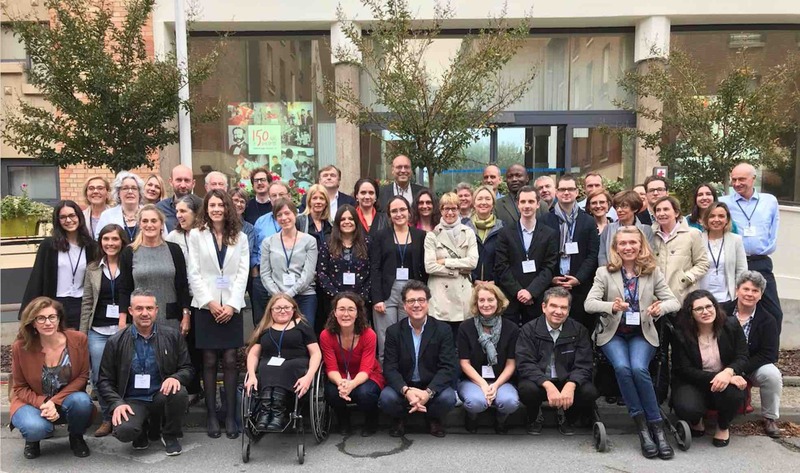 Our Programme Manager Celia Marín on behalf of the Leukemia Patient Advocates Foundation participated at the “Council of European Rare Disease Federations” held in Paris on 26-27 October 2017 by the Rare Diseases Europe EURORDIS with 26 other patient organisation representatives from different communities such as Myeloma Patients Europe and Lymphoma Coalition.The two-day meeting was full of very informative and interesting sessions, starting with a joint meeting with the Council of National Alliances. Just two weeks left until the 59th ASH Annual Meeting and Exposition opens its doors on 9th December in Atlanta, USA. We are hoping to see many CML Advocates at #ASH17! This is the world’s most comprehensive haematology event of the year and it is very important to be ready before the meeting as CML advocates in order not to miss out on any important session about chronic myeloid leukaemia. We are happy to share with you some key information about CML sessions hoping it will assist you to prepare and outline your days and make the most out of your time whilst at #ASH17. 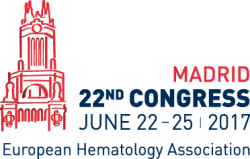 Click on "Read more" and check what is offered for patient advocates, haematologists and other stakeholders interested in CML at American Society of Hematology Annual Meeting this year. If you are coming to #ASH17, don't miss any of them, they will all be really interesting! 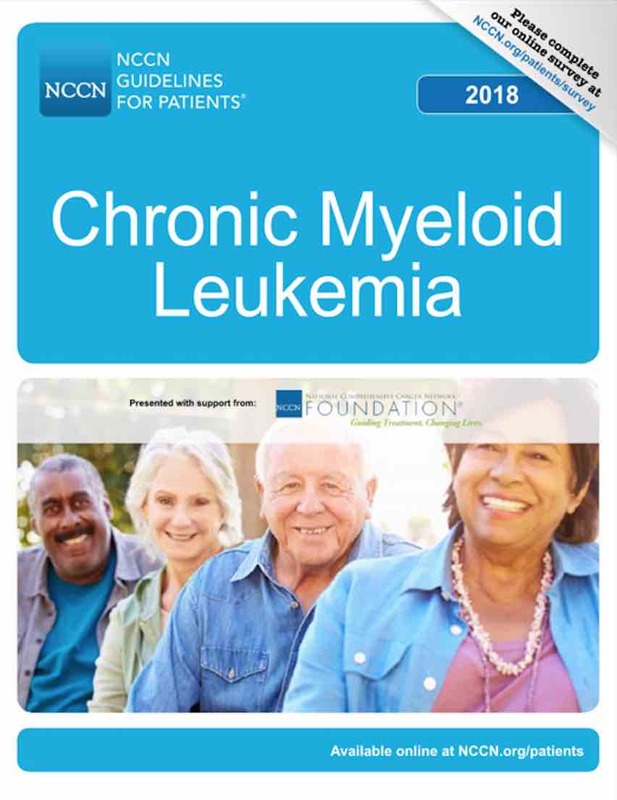 Stopping Treatment in CML has now become a standard care with the publication of the NCCN and ESMO guidelines which include stopping treatment outside the context of clinical trials. The ELN recommendations are expected in few months and will relate to this hot topic as well. At the same time, there are many questions patients have about the process. What is treatment-free remission concept? What is the longer period of time that a patient has been on TFR? Who are the patients eligible for TFR? How many patients have to restart the treatment after TFR and when? How can the psychological aspects on TFR be overcome? What is the standard of monitoring a patient on TFR? The 19th Annual John Goodman Conference on Chronic Myeloid Leukemia: Biology and Therapy were held in Estoril, Portugal on12-15 October 2017 organized by the European School of Haematology (ESH). This event gathers leading scientists in the field of Chronic Myeloid Leukemia treatment including Clinicians as well as Biologists and Medical laboratory technologists. Although the Programme does not contain specific Patient Advocacy sessions like in other scientific congresses, several patient advocates from different countries have been attending the conference. A number of CML advocates have been participating at this conference and sharing our CML patient's perspective. We are proud to welcome a new member organisation to the CML Advocates Network: Power of CML based in Egypt. The CML Advocates Network now totals at 116 member organisations in 86 countries worldwide! See the list of CML groups in the Network on our world map. Patients wishing to participate in a clinical study often look for a central source of information where they can find easy-to-understand facts on ongoing trials. Official trial registries like clinicaltrials.gov or other trial registries are available but tend to be complex and difficult to use for patients. 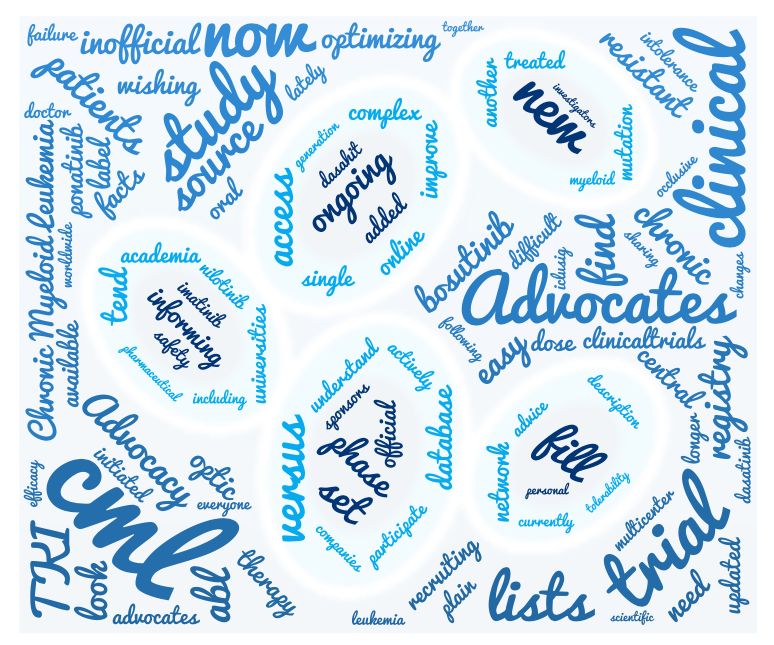 To fill the need for a single source of information on CML studies in plain language, CML Advocates Network set up an unofficial online CML Trials Registryin 2013. The database contains a brief description of ongoing CML trials initiated by academia (universities) or pharmaceutical companies. Currently, 24 clinical studies are listed that are actively recruiting patients. Another 11 studies are still ongoing but no longer including new patients. ... is still the motto of the 2017 World CML Day campaign but we give one step more..
Today, together we are treated. One day, one community, one life changing reality… Today, we are together to take a stand, share our needs and raise awareness! This year again on World CML Day 9/22 leukemia patients worldwide are united to address the courage and hope required to live with chronic myeloid leukemia and are calling for access to best available treatment and care for all patients but also for the development of a cure for our disease. This is our 10th World CML Day celebration and since 2015 we celebrate World CML Day 22/9 under the motto TODAY, TOGETHER! This time, we want to add the following to the main message: "Today, together we are treated. Tomorrow, we need cure!"